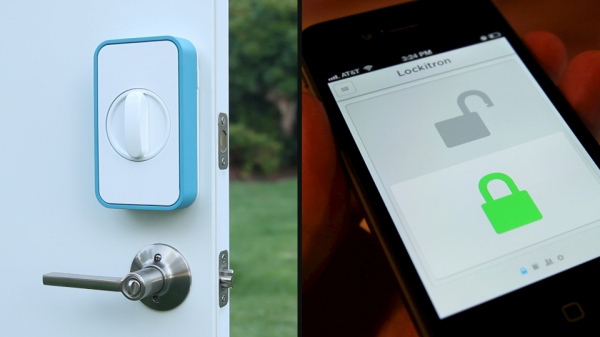 Cloud Based Mobile App for Keyless Entry or Build Something More with Selfstarter which is distributed by Lockitron as Free repo. Here is how to get started. To understand the full story, first understand one thing – Open Source Hardware. Later if you have time, read about Open Source Free Health. Except the high price of branded models, practically the difference is small when assembled by a hired person, even if you can not join up them. The story of Cloud Based Mobile App for Keyless Entry or Build Something is directly related to this topic. Lock your door from anywhere in the world with a nice mobile application which is hosted your own self hosted Heroku Cloud or any Cloud you want. The price there is for the kit. It is not a shop to buy a ready made thing. With Arduino, people have started to fell, we can actually use semi home production stuffs, which works at 1/3 price of equivalent device if a brand name was present. Basically, this should be the normal way. We do not buy our dinner, launches everyday from anywhere, whatever it can be named. So they are giving you the package named as selfstarter on Github page. We already have written many guides on Heroku Cloud, there should be no problem to deploy and test it, may be you can invent something more. So the deployment on Heroku is just like we did for any of our tutorial, Install the Heroku Toolbelt, create a new instance, clone the repo from github and deploy it. The biggest advantage we are getting is – we are basically getting an enterprise grade Cloud Based Mobile App as Open Source. As the instance is on own hosted place, practically there is no security flaw. If you need more security – simply deploy it as an app using your own Private Cloud build on OpenStack or DevStack. Cite this article as: Abhishek Ghosh, "Cloud Based Mobile App for Keyless Entry or Build Something More," in The Customize Windows, December 15, 2012, April 19, 2019, https://thecustomizewindows.com/2012/12/cloud-based-mobile-app-for-keyless-entry-or-build-something-more/.